We at Coastal Home Inspectors are serving up in Bonita Springs for many years with the most experienced home inspection services. We deal our expert Bonita Springs Home Inspections services in Bonita Springs for your home sale and purchase process. Our home inspectors are very proficient and use most recent tools and procedures throughout the home inspection services. At Coastal Home Inspectors, we inspect your home from corner to corner very responsively and cautiously and find out every damaged part of the home. Without an expert home inspection service, it will be very risky to take any decision about your desired home purchase. Buying a home is one of the major and difficult decisions in everyone’s life. Without the help of an expert and qualified home inspector like us, it will be very difficult to check out the perfect condition of your certain home. Our Home Inspectors with our certified Bonita Springs Home Inspections services are always ready to make you comfort in this mind-pressuring process. We inspect your home very carefully and discover every hidden blemish existing in any area of your home. Home buying is an important deal of your life because you are going to invest a huge amount in it. We make your home buying investment safe and sound from any loss by providing you our professional home inspection services. Our home inspectors at Coastal Home Inspectors inspect your complete home in a very professional way. Our Home Inspectors with our expert Bonita Springs Home Inspections services will completely inspect your house within 3 or 4 hours and deliver you a brief information about your home. Our home inspectors use most recent tools such as Electrical circuit tester, flashlight, Moisture meter, Safety glasses and other equipment which are required in home inspection. 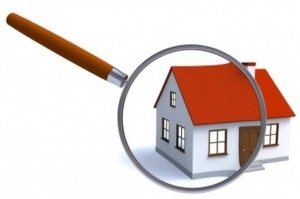 Coastal Home Inspectors gives you high standard and high-quality Home Inspection services. We inspect all physical components and essential part of your particular home as well as doors, grounds, door locks, kitchen, bathrooms etc. We request you to stop at the place during the progression of home inspection. You can also clear all the questions in our mind concern to the home inspection by asking queries to our home inspectors and getting the related solutions from them. This will help you to get valuable evidence regarding the state of your home. At Coastal Home Inspectors, we make a brief report of all damaged parts of your home at the complete point of our Bonita Springs Home Inspections service. After inspecting all the structures, our home inspectors will give you the information about the condition of the home thoroughly. These details are also provided to you officially in the form of computerized home inspection report. Our inspection report is consist of in which all the defected components are described that find out during the home inspection and maintenance instructions for these repairs are thoroughly declared. Our home inspection report is very easy to understand and also hold the digital images of the all faulty components.